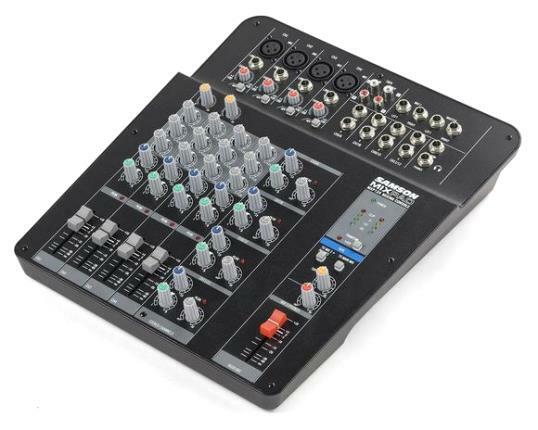 The all-new MixPad® MXP124 Compact, 12-Channel Analog Stereo Mixer demonstratesSamson's commitment to quality, affordability and professional specs. This lightweight mixer offers all of the sonic clarity, ease of use and premium performance that serious musicians demand. The MXP124 features premium circuitry specifically designed to work with Samson's MDR (Maximum Dynamic Range) mic preamps to provide wide frequency range, definitive channel separation and natural response. 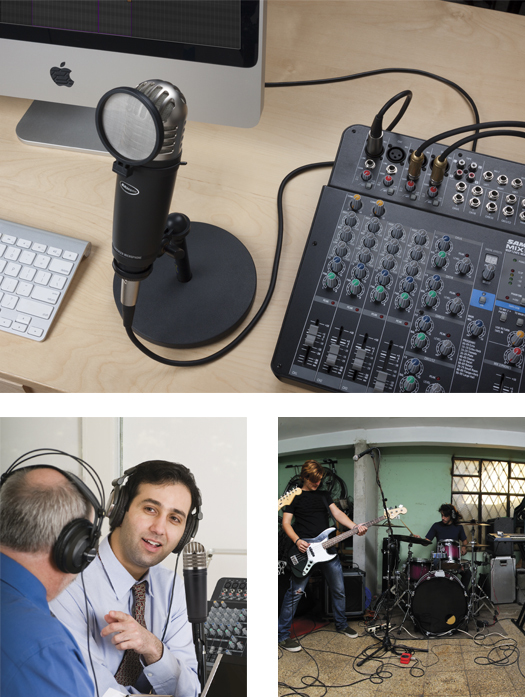 This ensures that all of your mixes originate from pure, authentic audio signals, making the MXP124 perfect for education, broadcast, and rehearsals and other live sound applications. The MXP124 has selectable 48-volt phantom power so you're free to mix in the warm, natural response of your favorite condenser microphones. Further catered to live performance, the MXP124 includes brightly colored knobs, as well as 4-segment LED level metering for safe and efficient operation in dark environments.Portable, easy to use and jam-packed with features that ensure optimal control over your performance, Samson's MixPad® MXP124 represents a new era of possibility for affordable live mixers.